When I moved to CT in late 2009 to take on the job here of getting Massaro Community Farm up and running as an organic vegetable operation, I knew that I should reach out to the Northeast Organic Farming Association of CT (CT NOFA) right away. In doing so, I met Bill Duesing. Bill and I talked about organic farming, community farms, helping young farmers and more. I ended up working with Bill quite a bit over the last nine years, and I’m sad to share that last month, at the age of 75, Bill passed away. 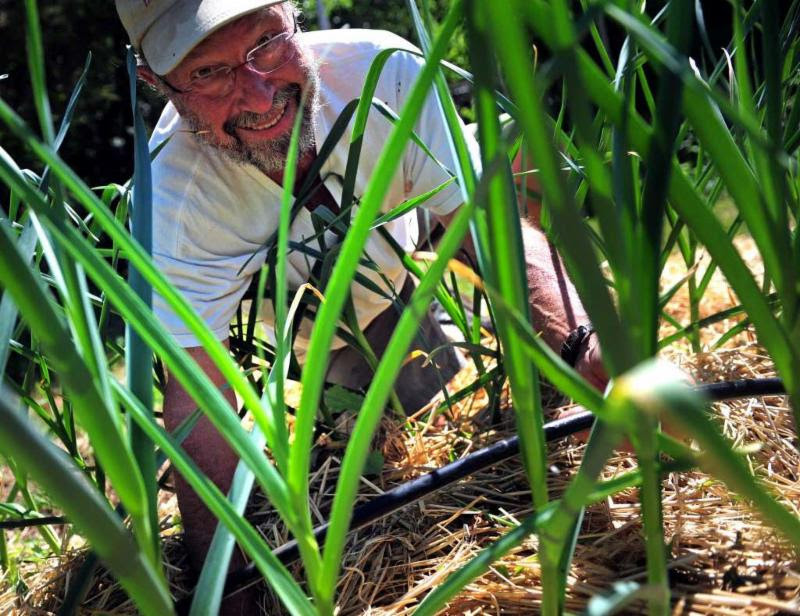 For 45 years, as an organic farmer, author, artist and environmental activist, Bill promoted organic agriculture, solar energy, and greater local food sufficiency in Connecticut and the Northeast through lectures, writings, media and community work. With his wife, Suzanne, he grew vegetables, fruits and flowers on their farm, while tirelessly advocating for a local and organic food system. Bill was the founding president of Northeast Organic Farming Association of Connecticut (CT NOFA) in 1982 and served for 12 years as the Executive Director. Bill worked as the founding chair of the New Haven Ecology Project helping to establish one of the first charter schools in the state. The Common Ground High School continues to successfully educate young people on its farm located in New Haven. I most admired Bill’s dedication to sharing his knowledge and experience with others, and his commitment to continue learning himself. Farming provides endless opportunities to learn, and knowing Bill, it was no surprise to see him this past winter and spring giving talks on organic farming, and also sitting in on workshops addressing soil health, no-till farming practices, and high tunnel production. Bill will be missed here at Massaro Community Farm, and by many people far and wide, but his life and work will undoubtedly provide guidance and inspiration for years to come. Thank you Bill. Click here to learn more about Bill, CT NOFA or to give to the Bill Duesing Fund.